Take Exit 12A off of I-695. The Fire Department is 1/4 mile on the right. Take Exit 12C (bear right). Make a left at the first light. Return to I-695 (Glen Bernie) to gain access to Exit 12A. Take exit 3 for Washington Blvd. (Route 1) toward Elkridge. The firehouse is one mile on the left. The State Highway Administration has notified the Arbutus Volunteer Fire Department of the dates of future road construction that may impact traveling to and from the AVFD station. 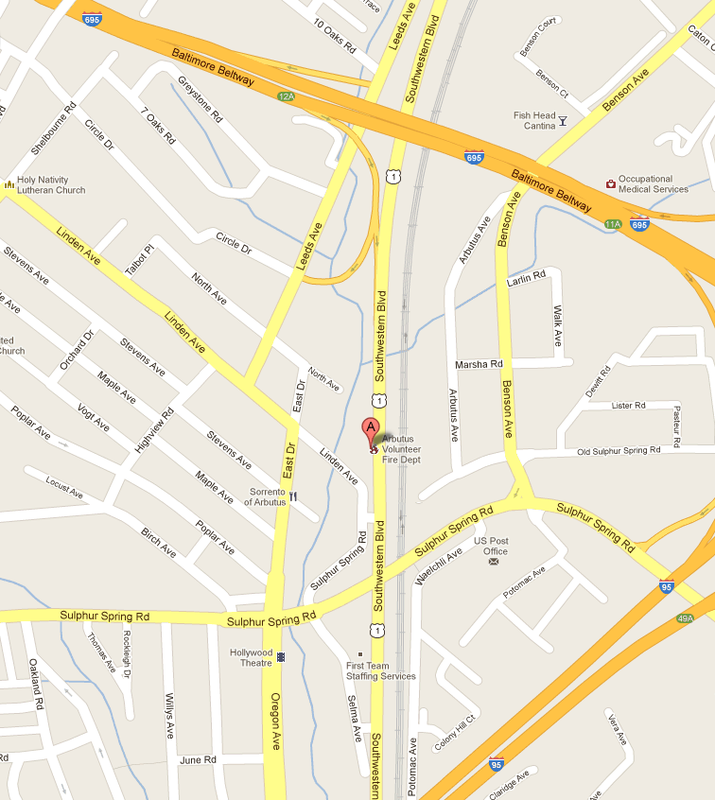 EFFECTIVE APRIL 14, the access ramp to I-695 to Leeds Avenue will be closed for construction. If you use this ramp to access I-695, it is suggested to continue on Leeds Avenue. Instead of turning left onto the Beltway ramp, proceed three (3) streets and turn left on Maiden Choice Lane. Proceed on Maiden Choice Lane and make a left on Wilkens Avenue. Both the inner and outer loops of the Beltway can be accessed from Wilkens Avenue. I haven’t seen one lately. Your best chance of finding one would be to attend the show this Sunday , March 16th at the AVFD and ask the dealers AND have the microphone person make am announcement regarding your search . Our dealers have leads and could give you suggestions .